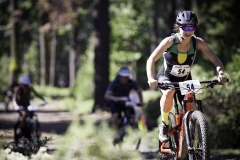 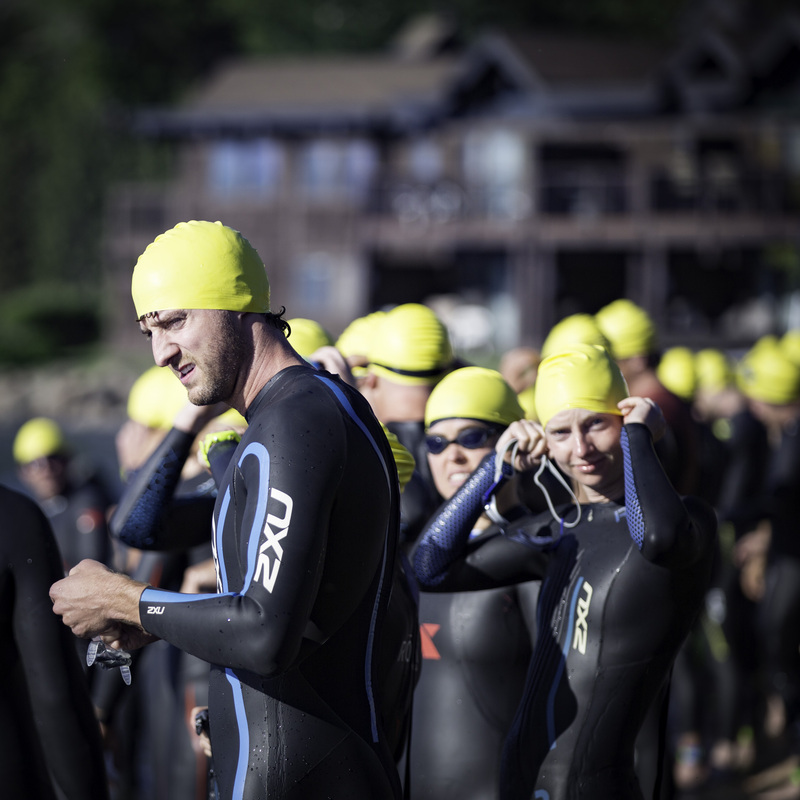 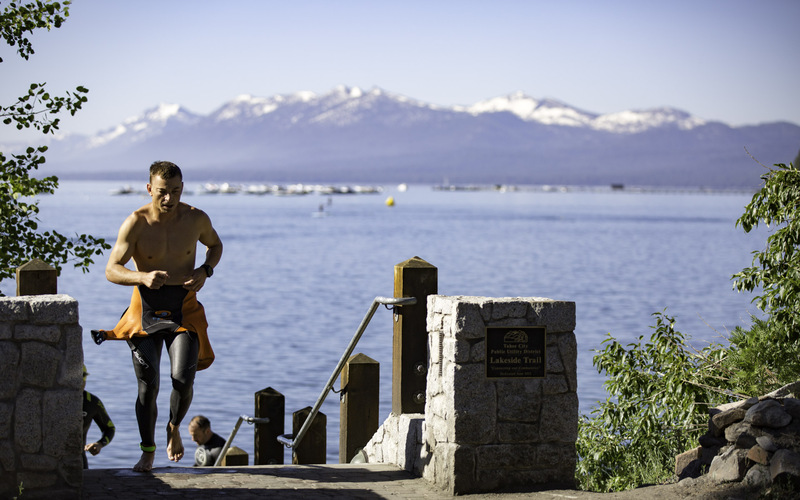 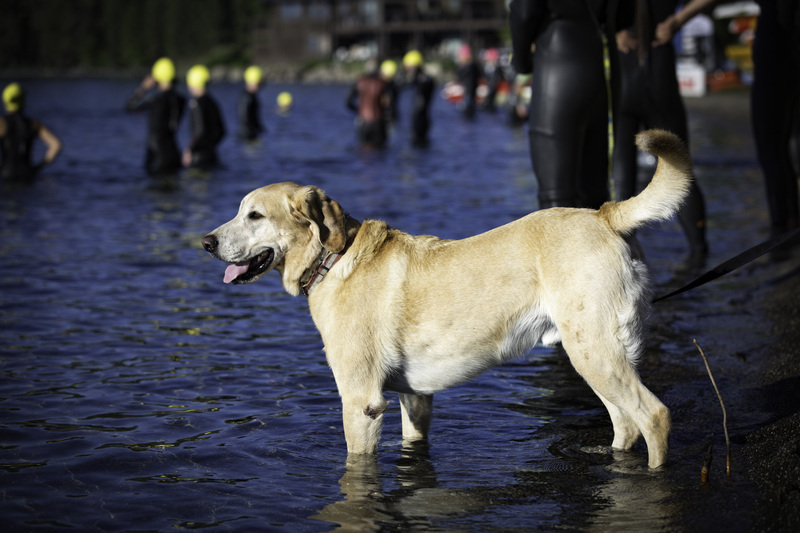 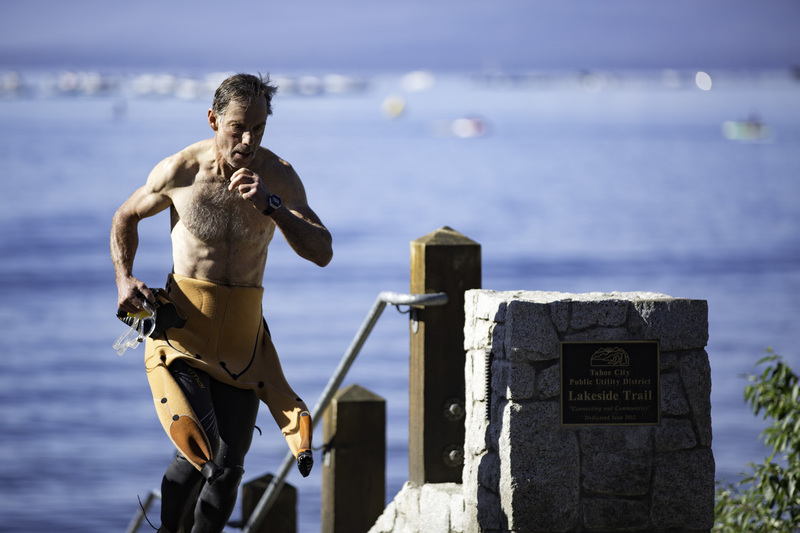 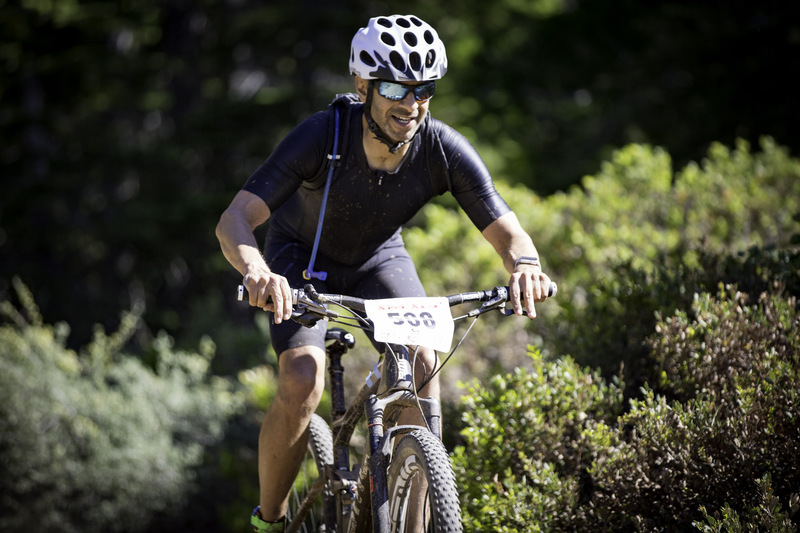 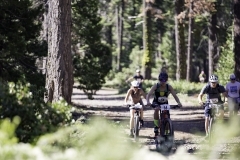 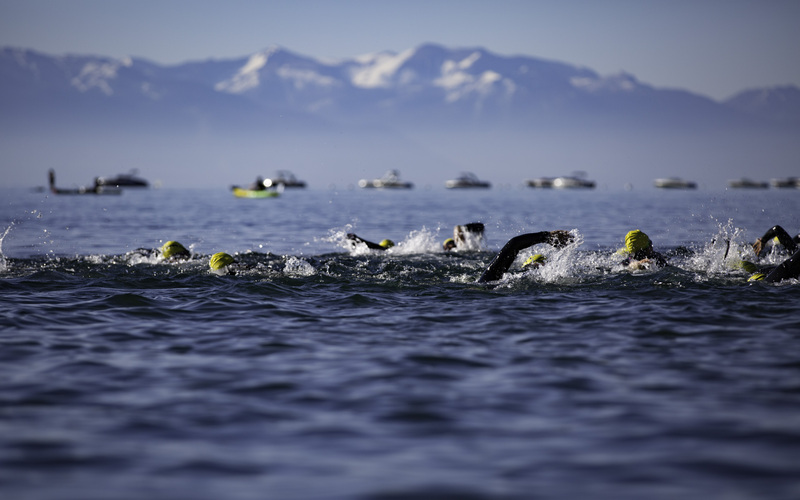 TAHOE CITY, CALIFORNIA (June 24, 2017) – Amidst the picturesque backdrop of snow covered mountains, a few hundred competitors dove into the crystal blue Lake Tahoe for this year’s XTERRA Tahoe City. 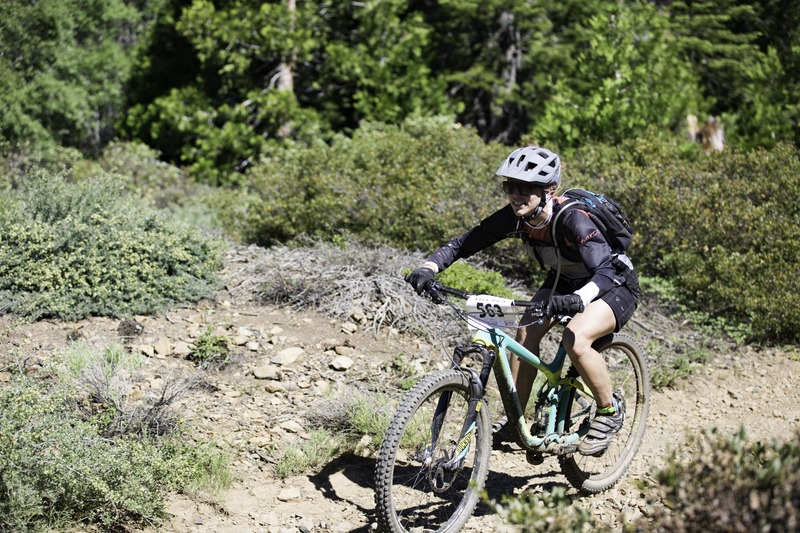 The sunny skies and dry mountain air heated things up as the day got underway. 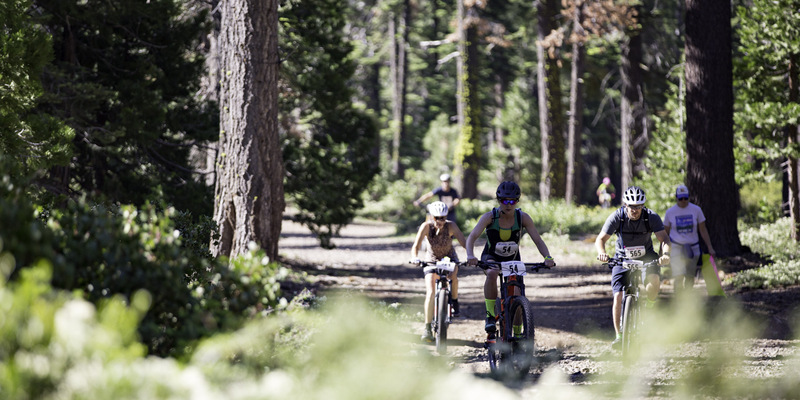 Tahoe City, CA, USA – June 24, 2017: Amy Dixon (#16) and Christy Fritts (#22) became the first female blind athlete and guide team to race an XTERRA. 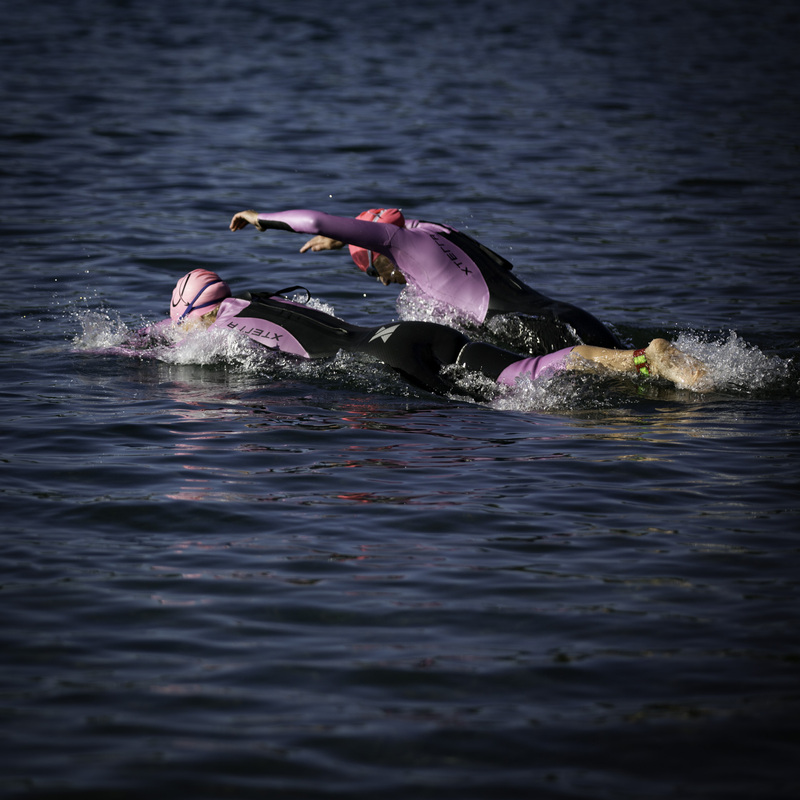 Among the competitors was the two-person team of Amy Dixon and Christy Fritts, the first female blind athlete and guide team to race an XTERRA triathlon. 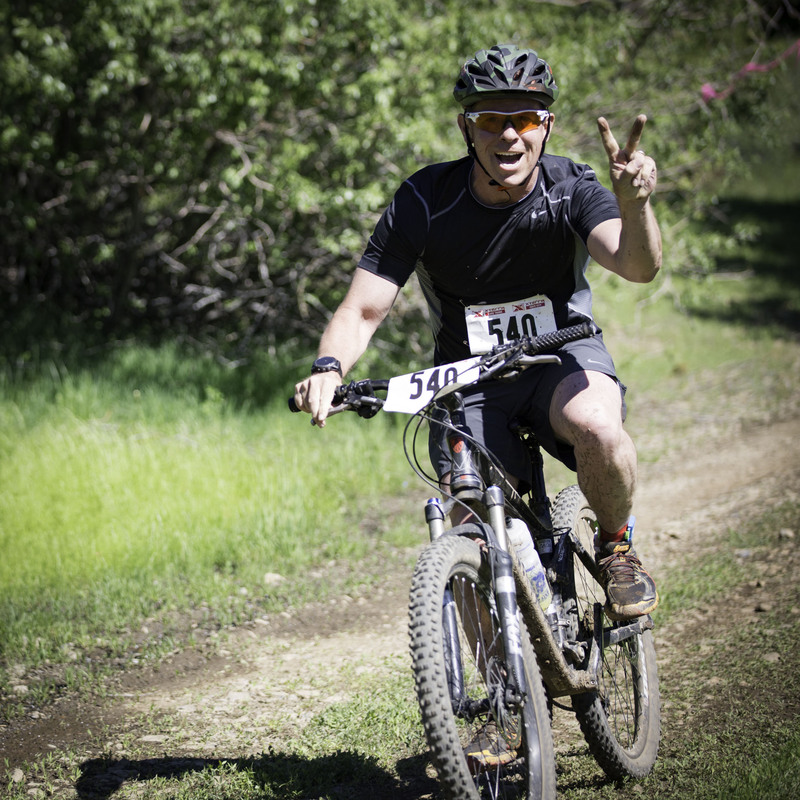 The two rounded the course together, including doing the mountain bike leg on a tandem bike. 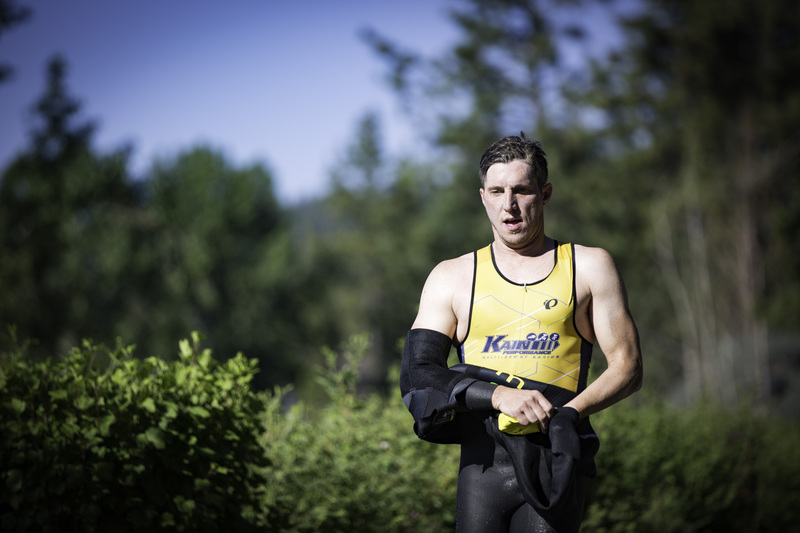 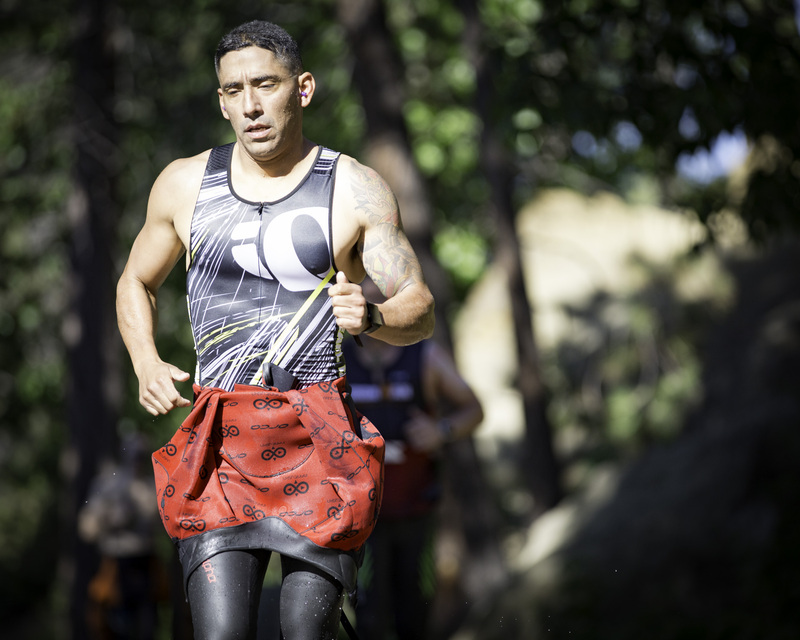 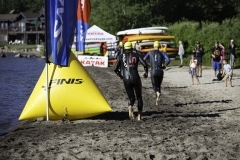 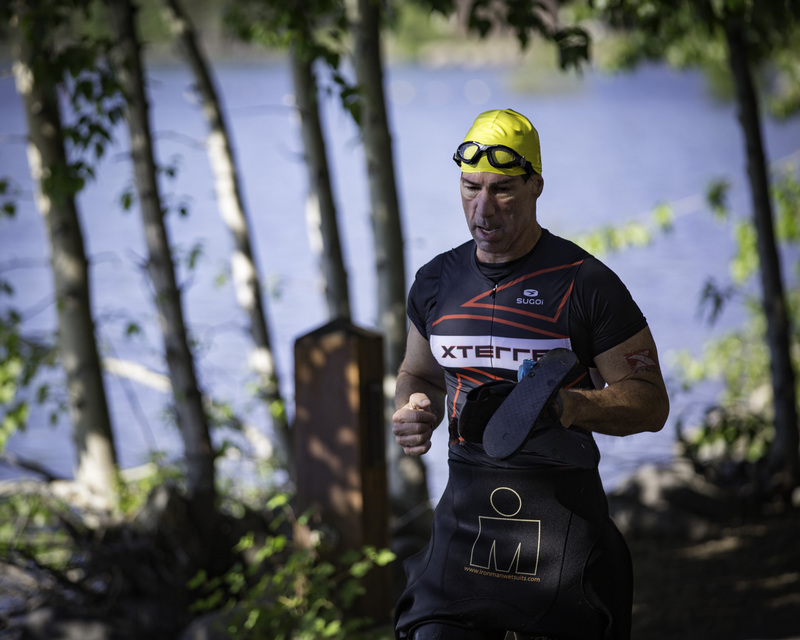 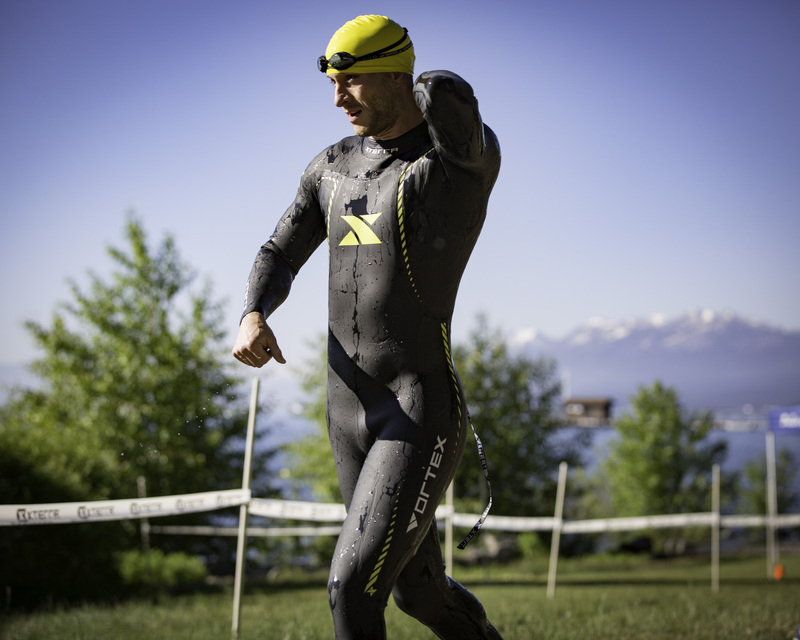 Read more about their history making performance on the XTERRA Planet website. 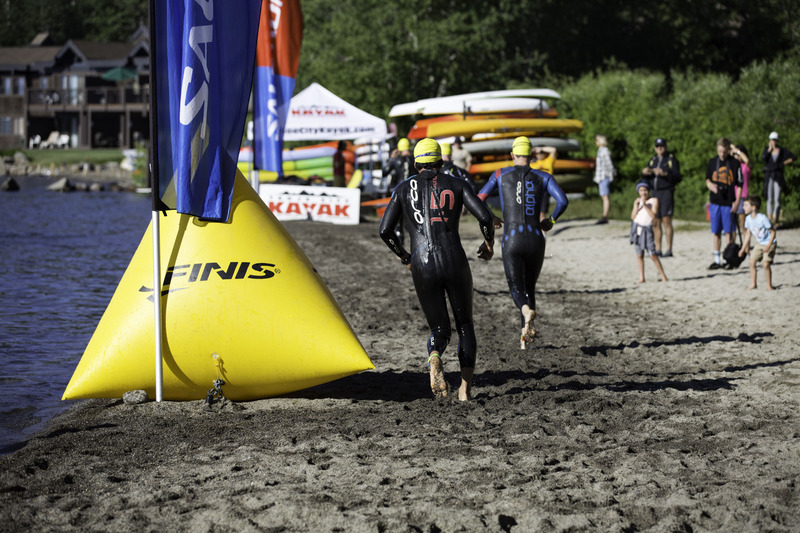 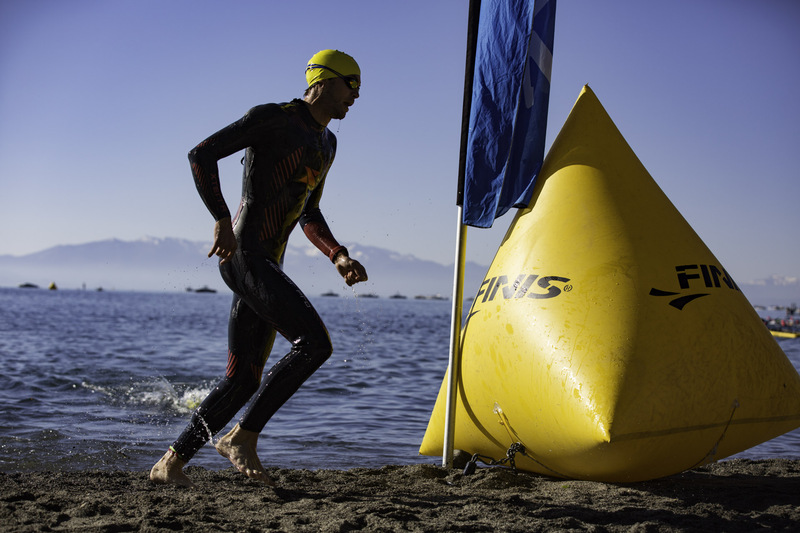 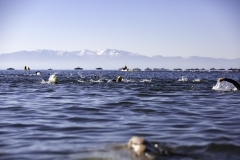 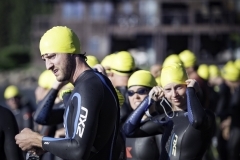 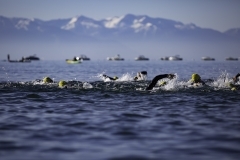 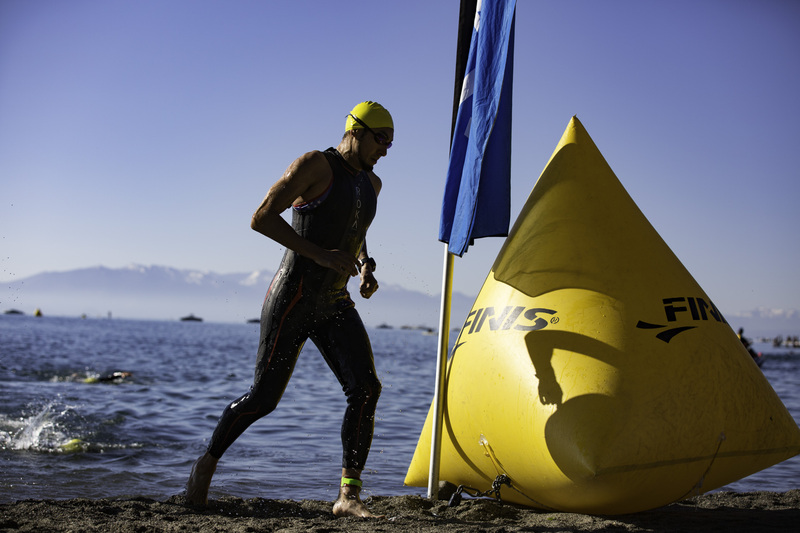 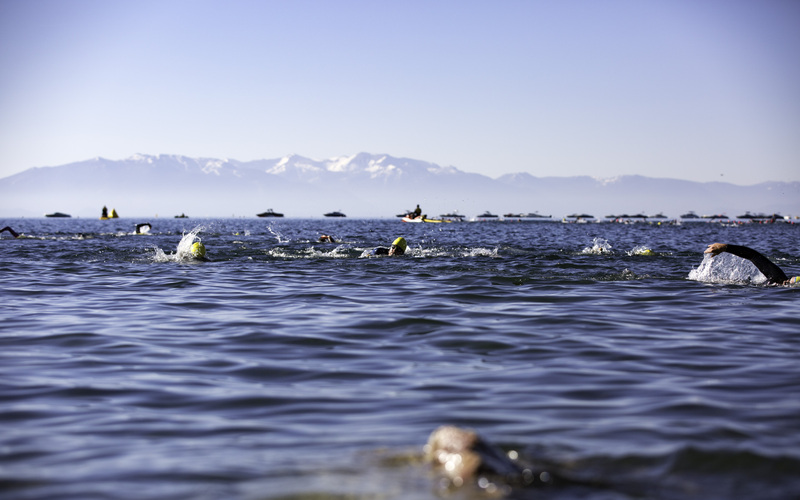 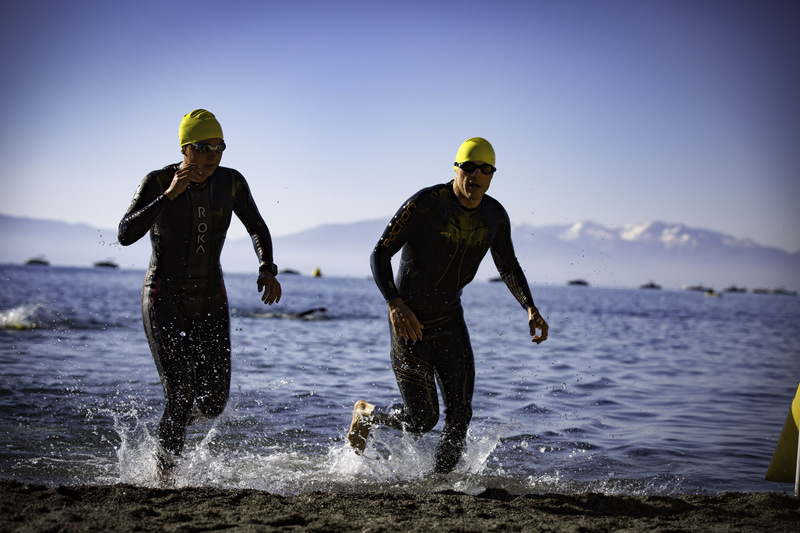 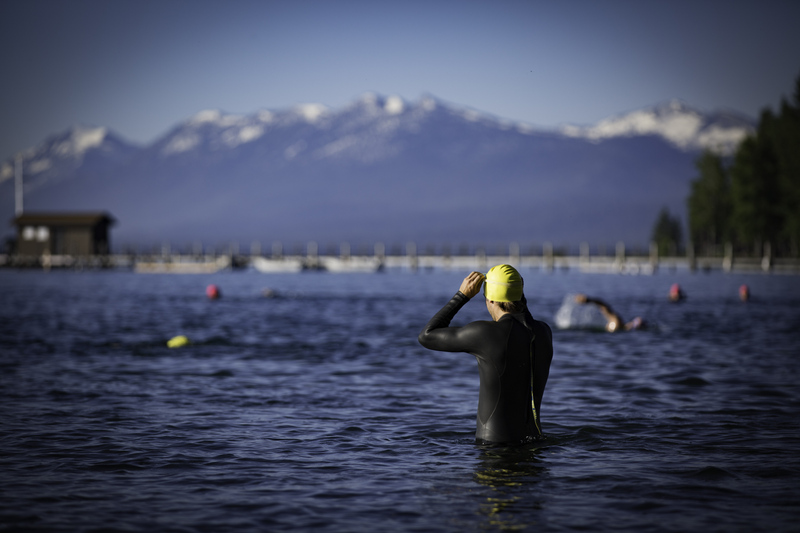 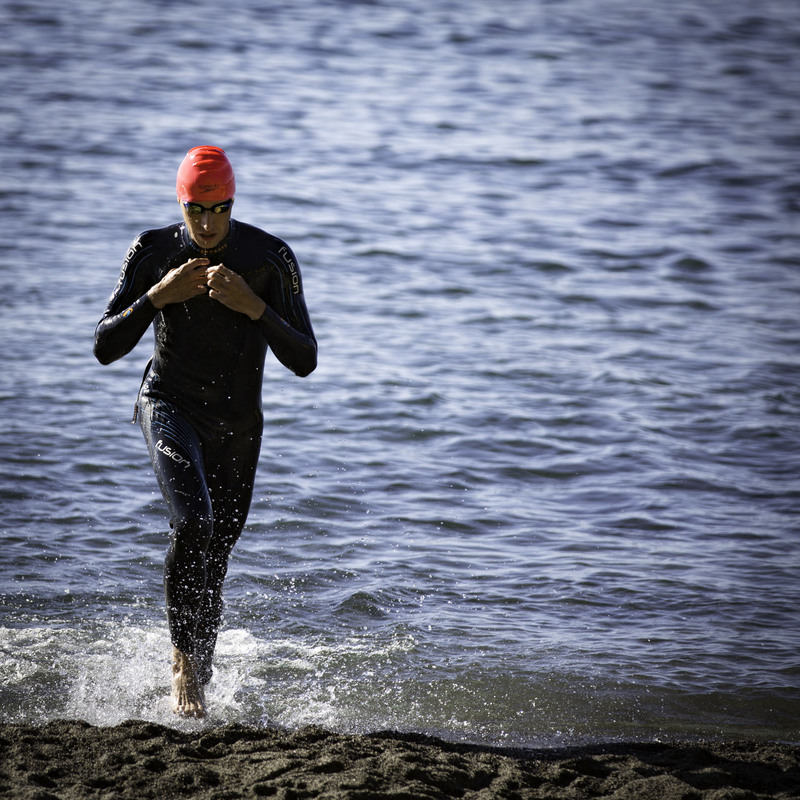 Starting on Commons Beach in Tahoe City, competitors swam two 750-meter loops before running up to the transition area at Connors Field. 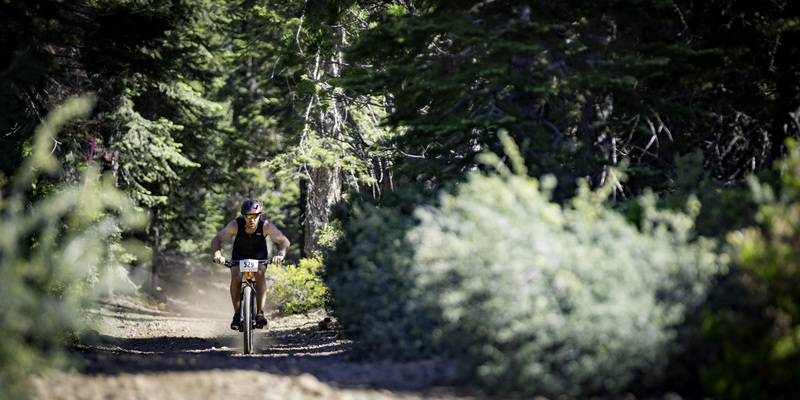 From there, they rode 22 miles on the mountain trails above Tahoe City, followed by a 5-mile run that ended back at Commons Beach. 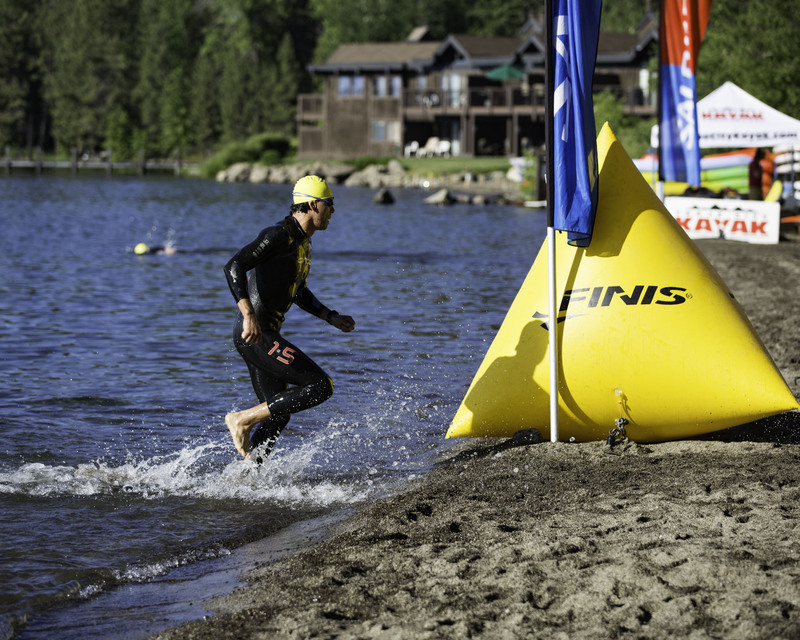 Niels Vande Casteele of Cardiff, Jeremie Showa of Davis, and Todd Hinders of Hillborough took the top three spots in the men’s race, while Genevieve Evans of Carnelian Bay, Sian Turner of Truckee, and Jessica Koltz of Truckee rounded out the top-three in the women’s race. 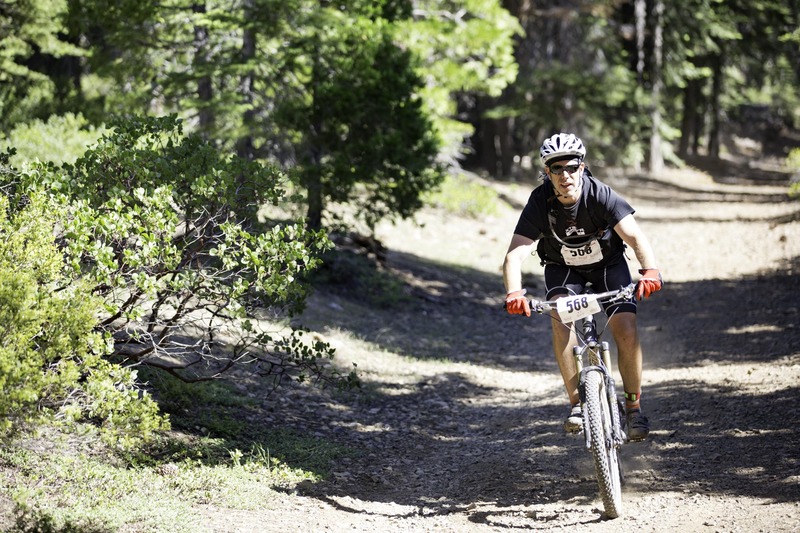 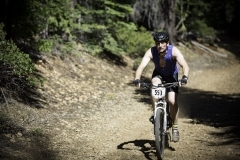 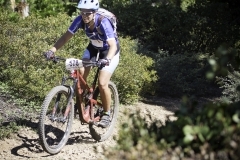 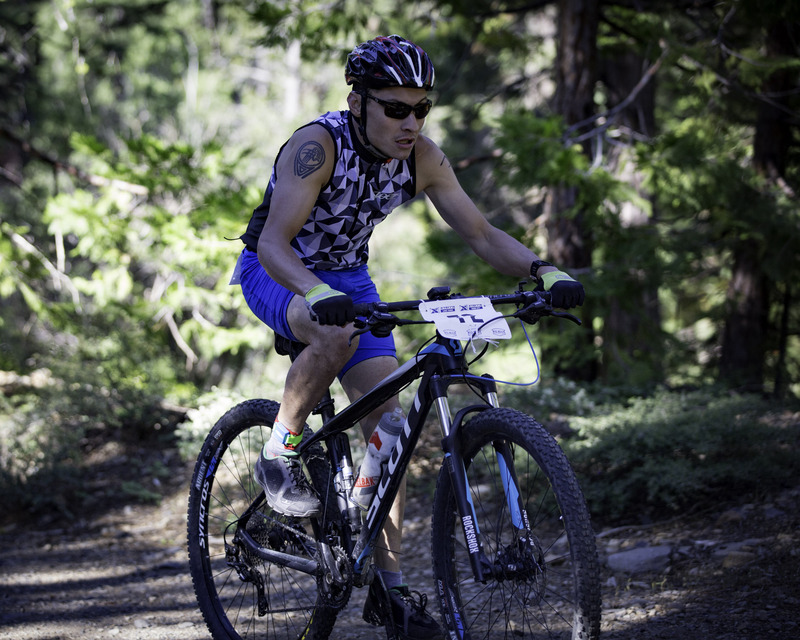 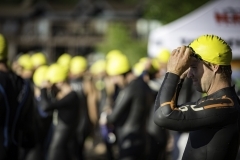 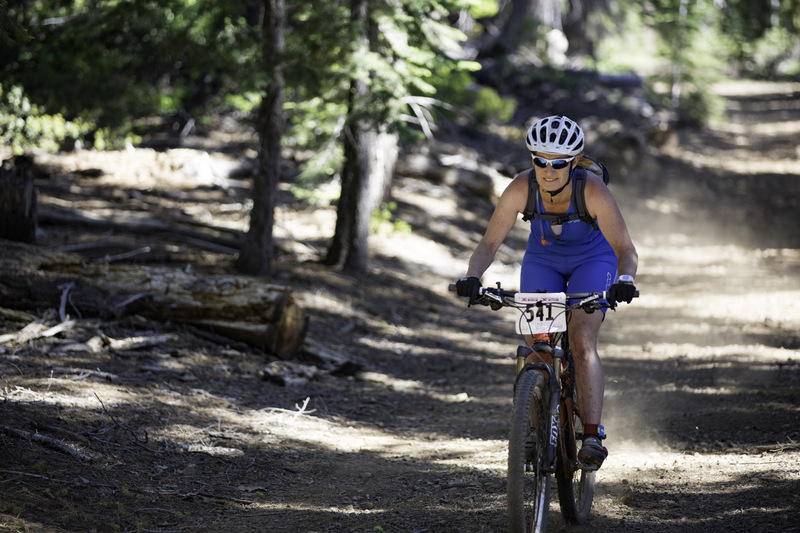 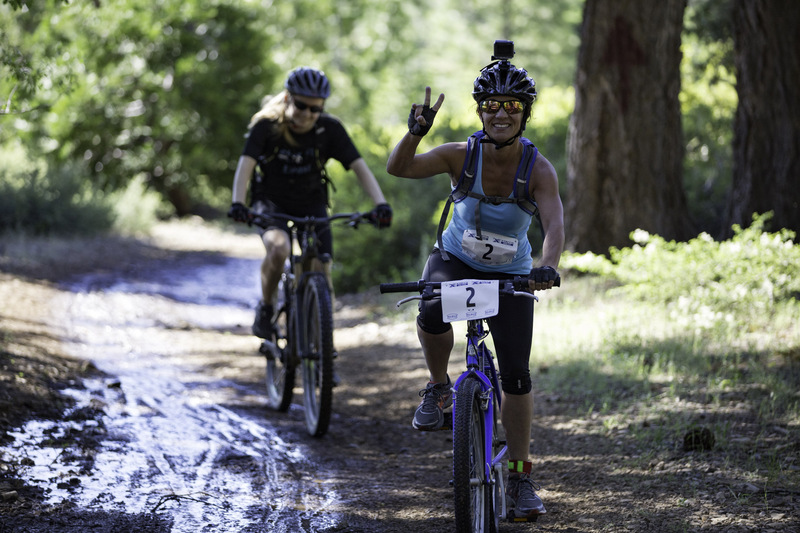 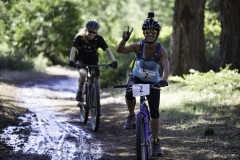 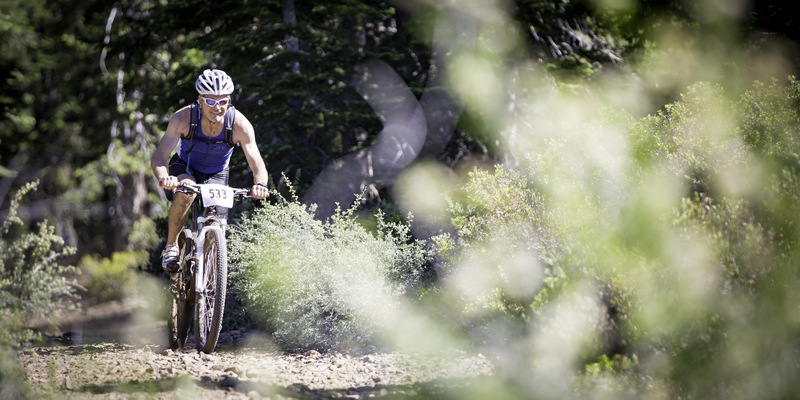 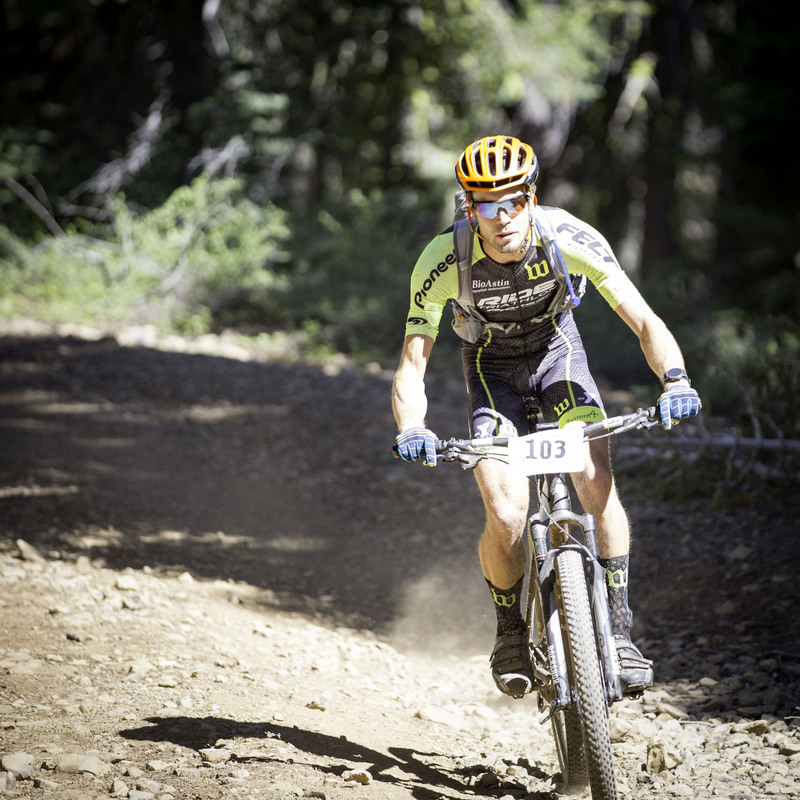 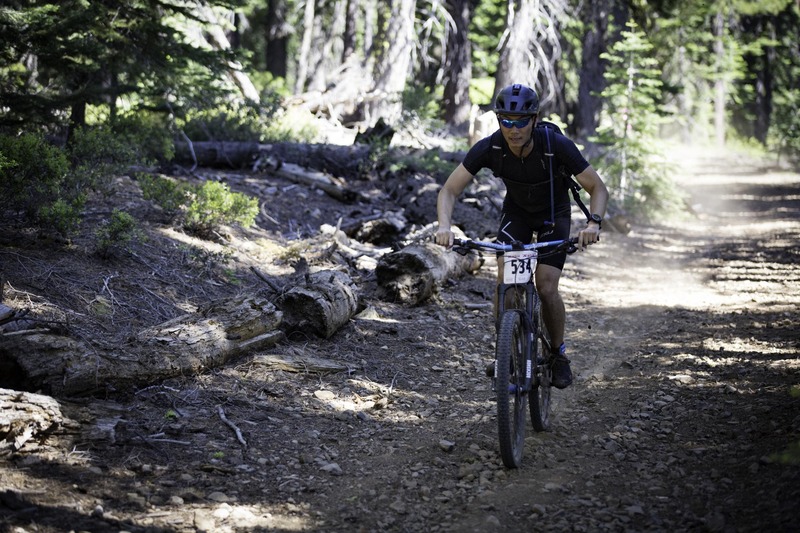 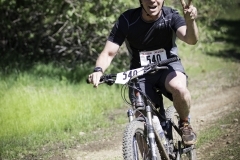 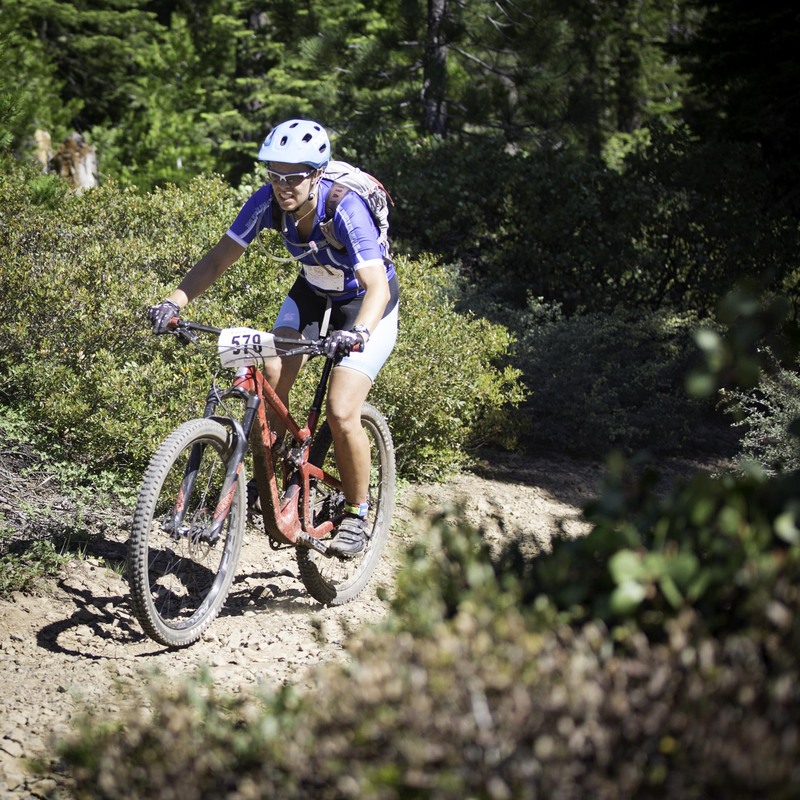 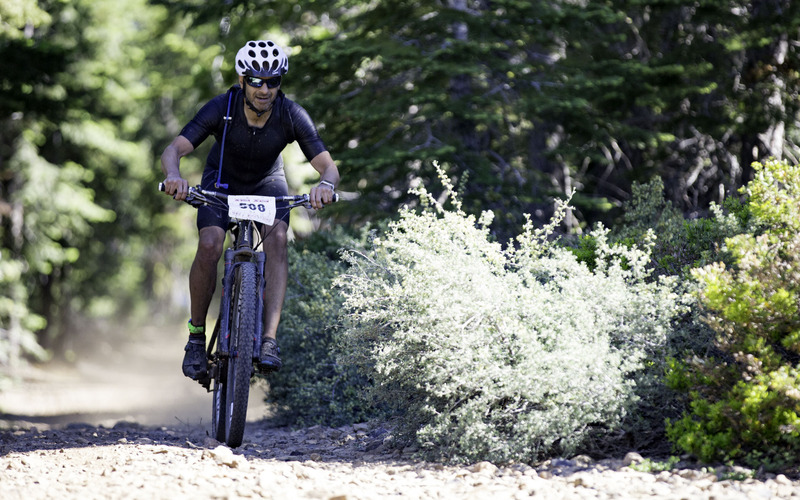 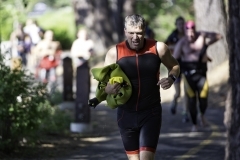 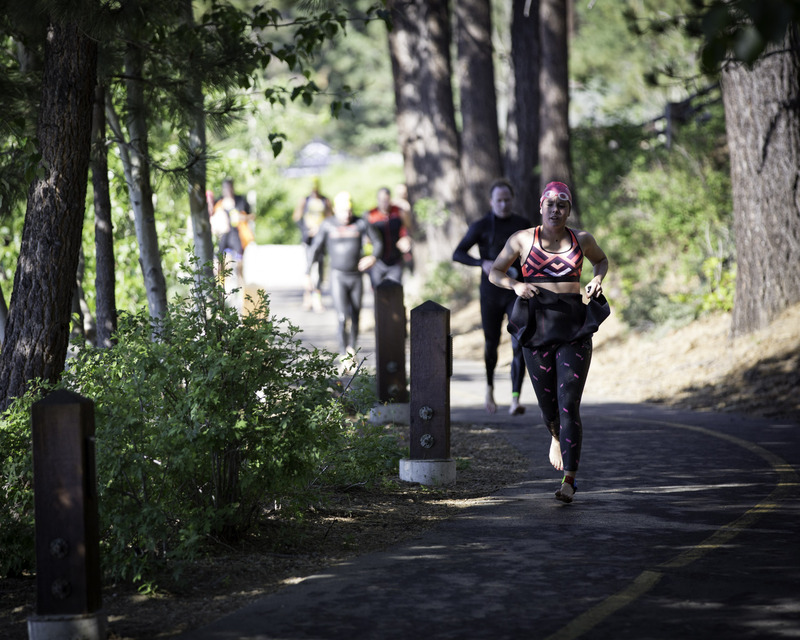 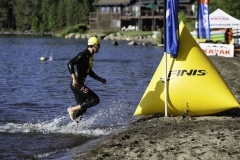 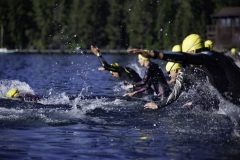 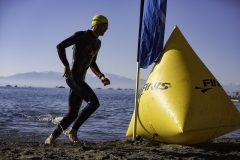 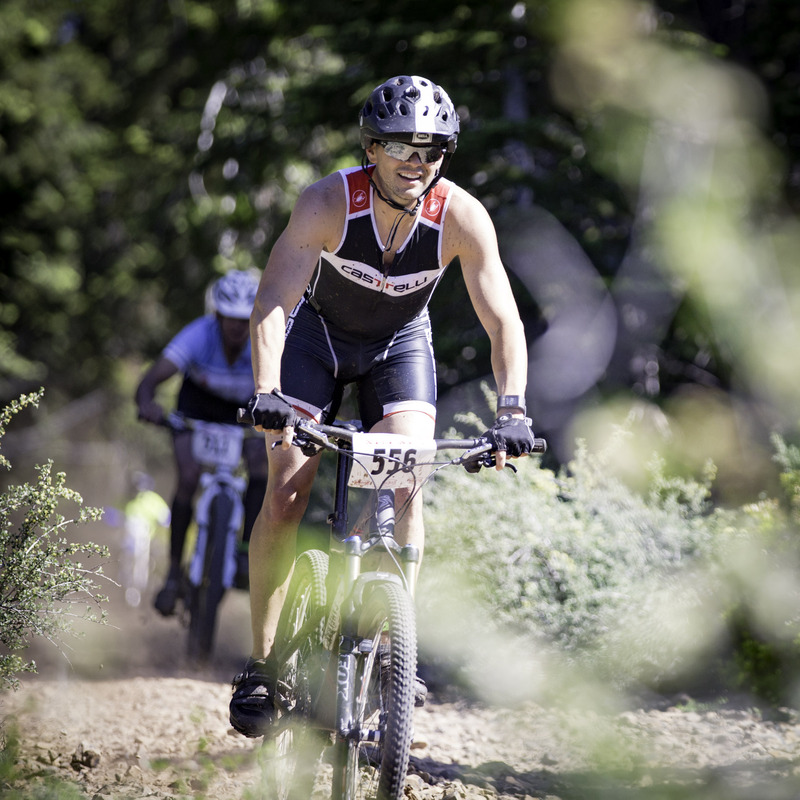 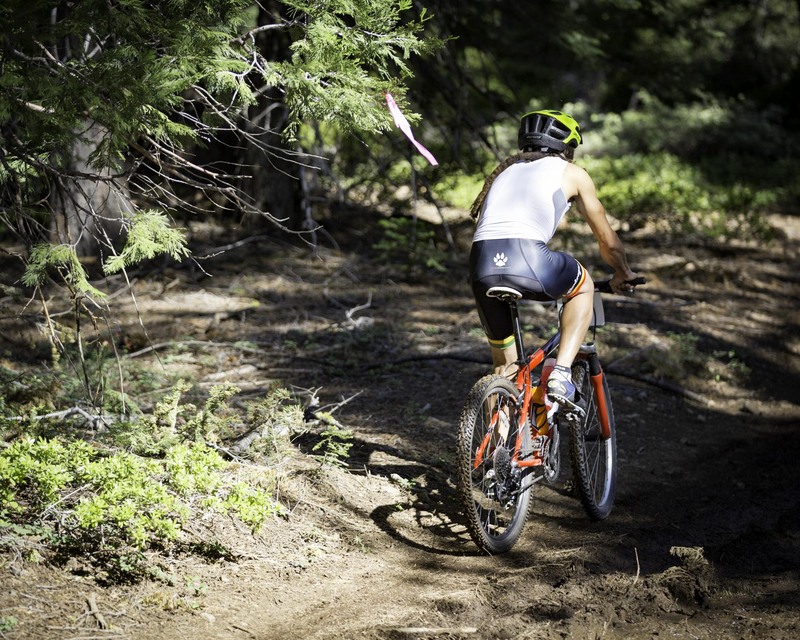 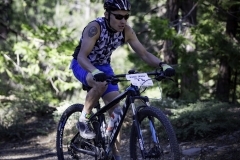 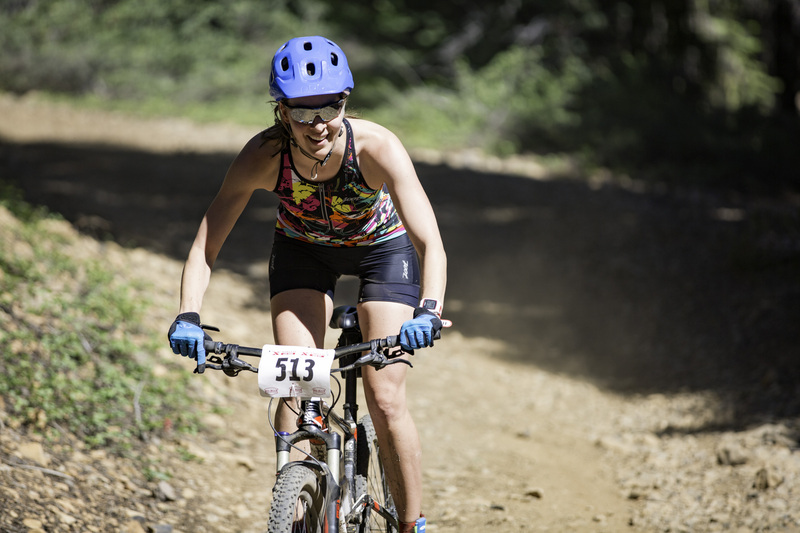 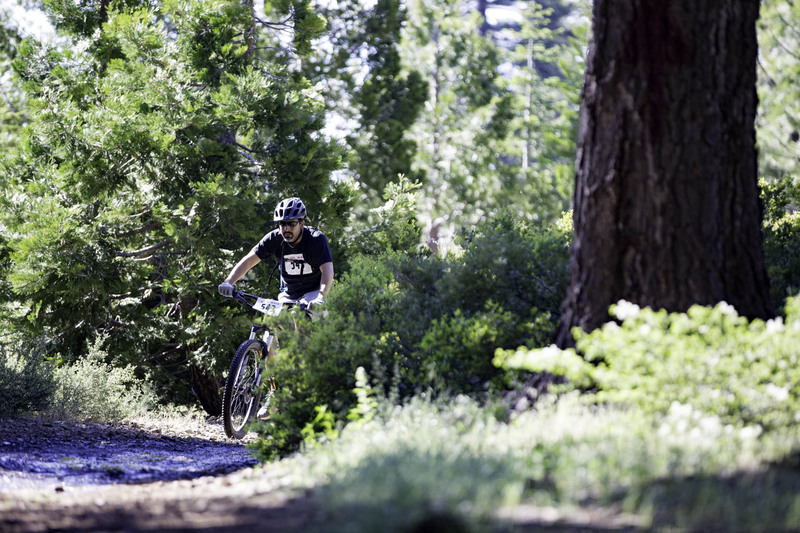 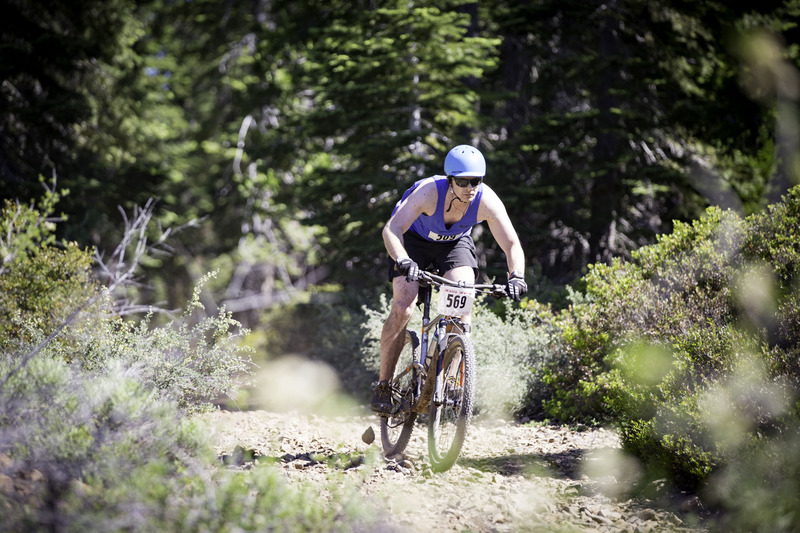 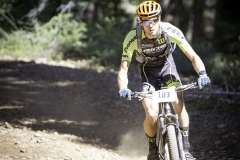 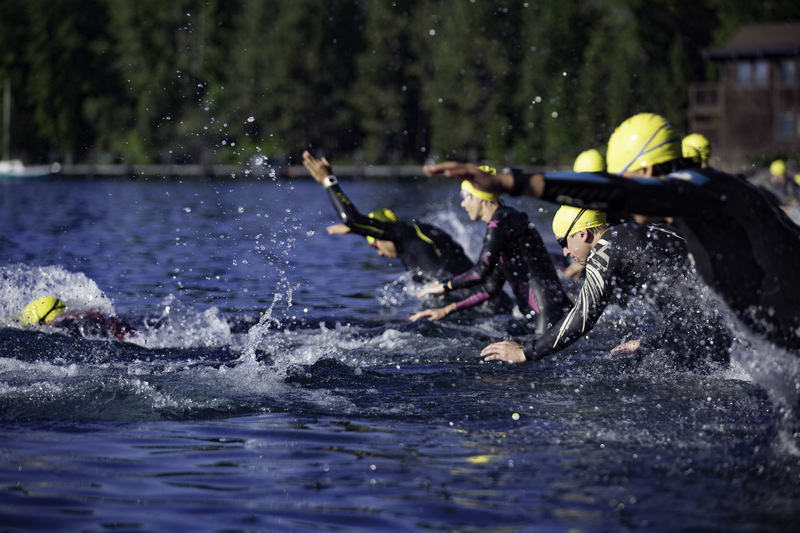 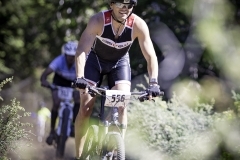 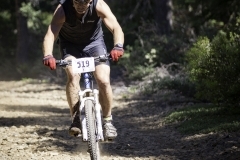 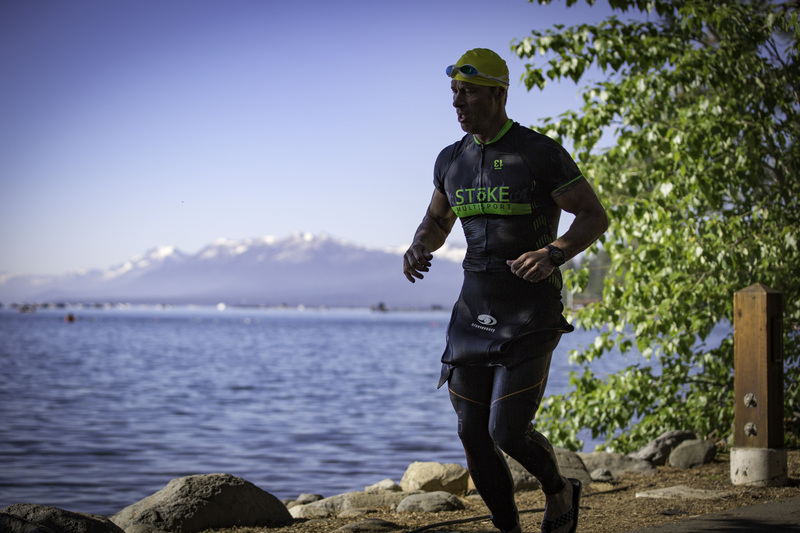 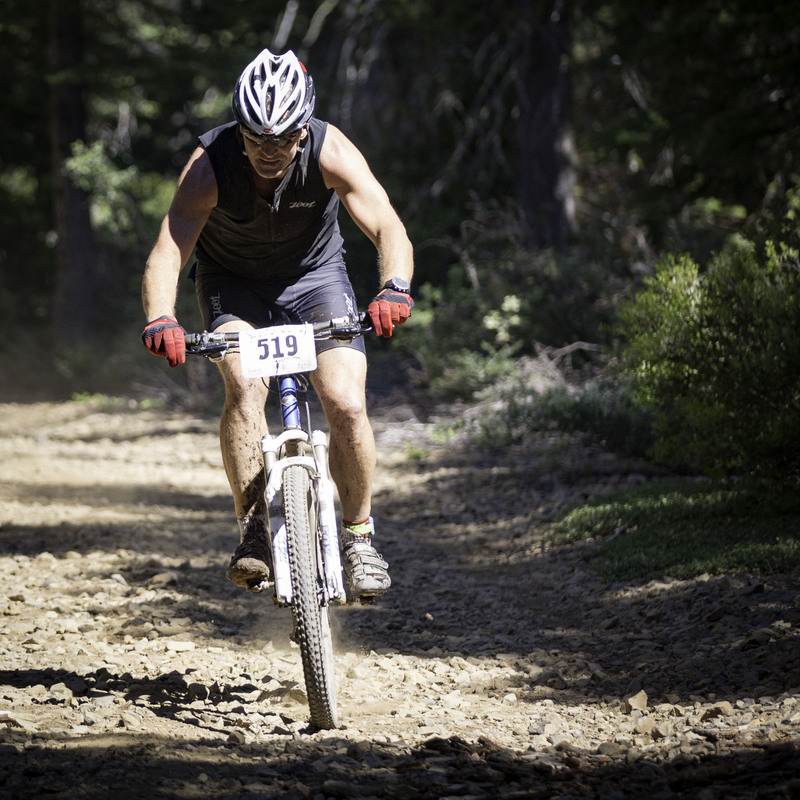 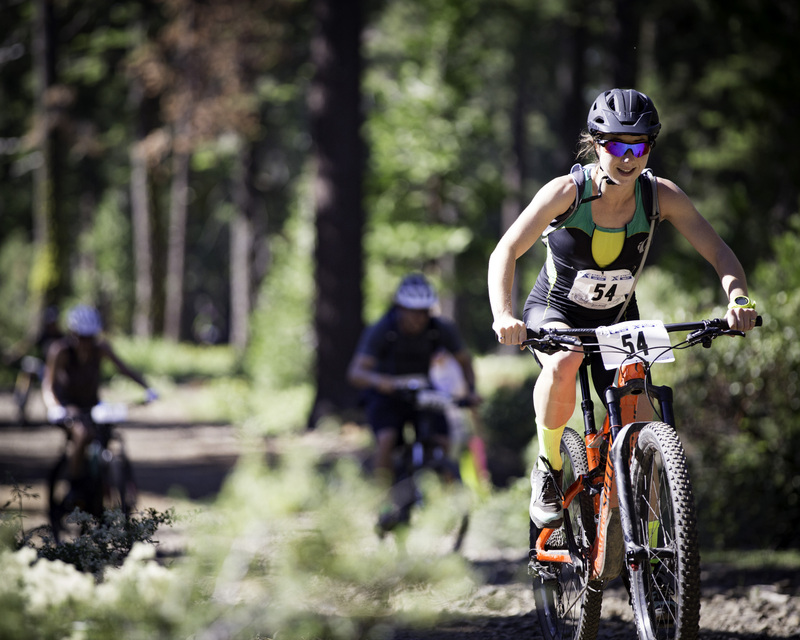 Sprint racers did one 750-meter lap in Lake Tahoe, a 13-mile mountain bike, and a 3-mile run. 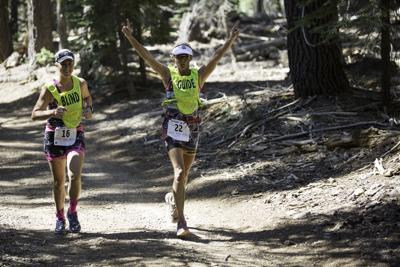 Steve Dalal of Saratoga, Darrin Indart of Reno, and Joseph Hoff of Ladera Ranch took the top honors in the men’s race. 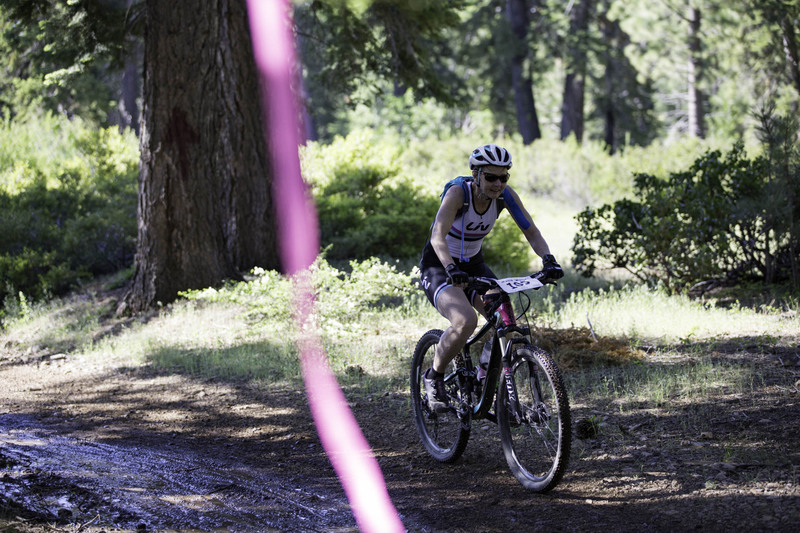 Jessica Starr of Truckee, Kate Indart of Reno, and Emma Herschbach of Reno formed the women’s podium. 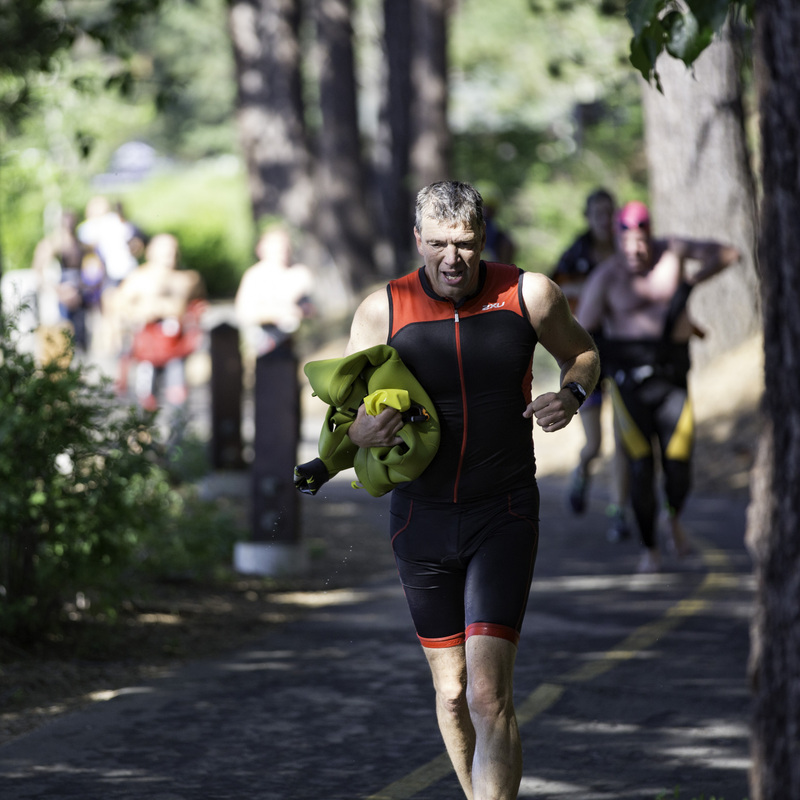 Duathlon competitors started with a 2-mile run in lieu of the swim, followed by a 22-mile bike and 5-mile run. 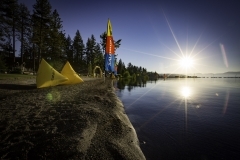 The top three places went to the trio of John Garrison, Evan Garrison, and Matt Garrison from Kensington, California. 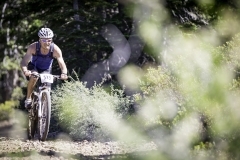 This entry was posted in Mountains, Photos, Sports.